Taking a break from studying.. trying to cram 2 subjects and makeup application (by theory then putting it into actual use during my exam) on my 2 off days. SOOOOoooo not liking this work, school, or work + school schedules. 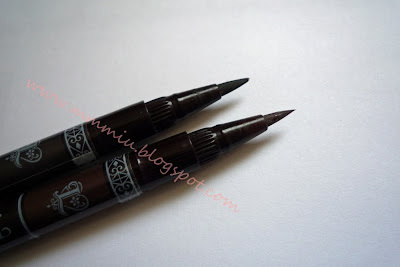 I ran out of my MJ liquid liner and since Adambeauty never seems to carry them anymore, I ordered 2 Lavshuca liquid gel liners.. as inexpensive as they were, it wasn't worth it because they were terrible!!!! 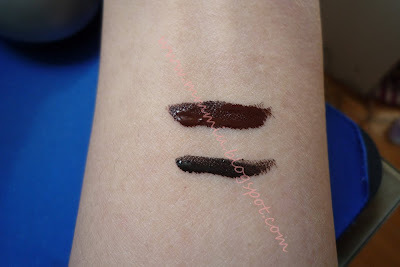 But I guess it's ok, considering they were about $11CAD per liner.. since then, I've went on a desperate rampage to find my beloved MJ liner and managed to find it on Bobodave.com with free shipping. I resisted buying it from Pacific Mall, partly because they didn't have BK902 anyway and it was $27!! Bobodave only cost $20. 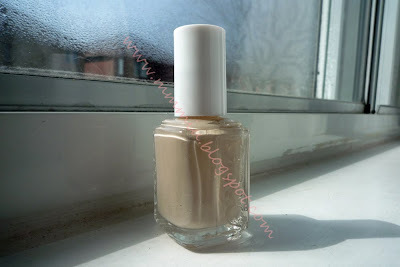 Moving onto the Maybelline Fit Me. My friend in class had convinced me that it was the most amazing foundation ever..and seeing how I happened upon an Ulta on my trip to Buffalo, I thought why not try it! For $6.99USD, it's cheaper than getting it in Canada plus the 13% tax on top. I tried a sample from the Lou Lou magazine and 125 seemed to match me well. It's definitely sheer for a foundation, but I'd say more coverage than a tinted moisturizer. It has a weird smell to it, like of like baby powder but not really. 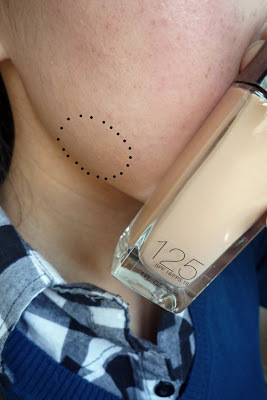 Blending is smooth and oil control neither good nor bad, but better than using a TM. I find that if I used this instead of my TM, my bangs don't tend to get all the oily from my forehead as easily. You barely even notice the foundation in the picture, I didn't apply it on my whole face and I didn't blend out the spot either. It does a good job at covering any redness, but not freckles. In terms of lasting power, I'd say.. if I use blotting sheets, then I notice it, but other than that, I don't notice it coming off that easily. But, I'd still by it again because it's affordable, although I wish it came with a pump. The boring nail polish I use at work..either this or pink. So sad that I can't use any color because it's not natural enough. But this Essie (Sand Tropez) will do. 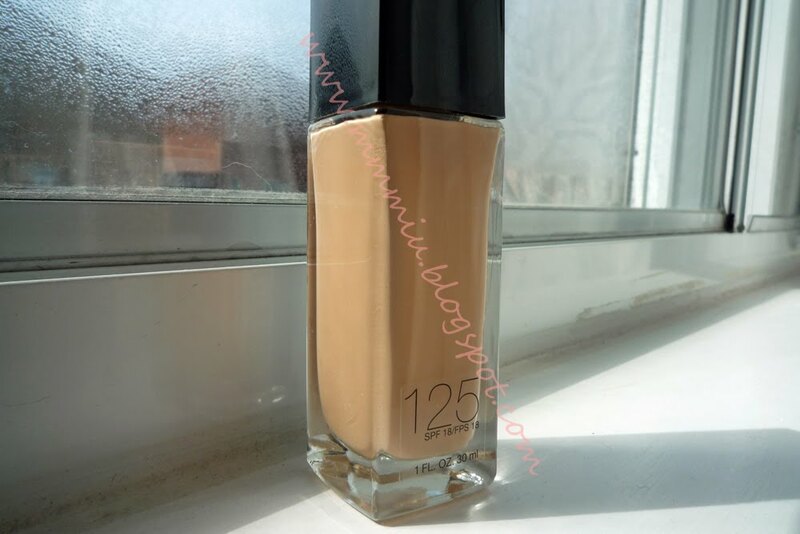 I apply 2 coats and it's quite smooth and doesn't chip very easily. I had it on once for at least 5 days and still looked decent. The LM Gel Lipcolors are finally here!! But not at Sephora.. so I ended up going to Holt Renfrew to get one ($27). I'm in love with the formula.. 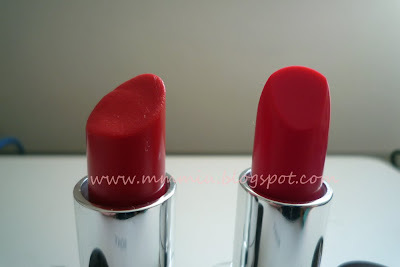 I haven't tried the other LM lipsticks yet but I can imagine they're just as creamy and smooth. The gel lipcolor feels very light and goes on sheer, but I still manage to get color on my lips. 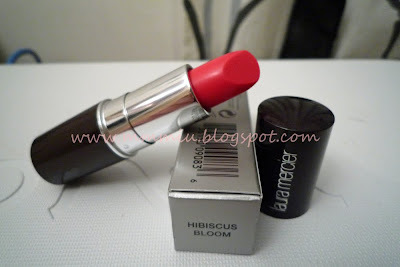 Hibiscus Bloom is a bright pink slightly cool shade, but matches well with my skintone. 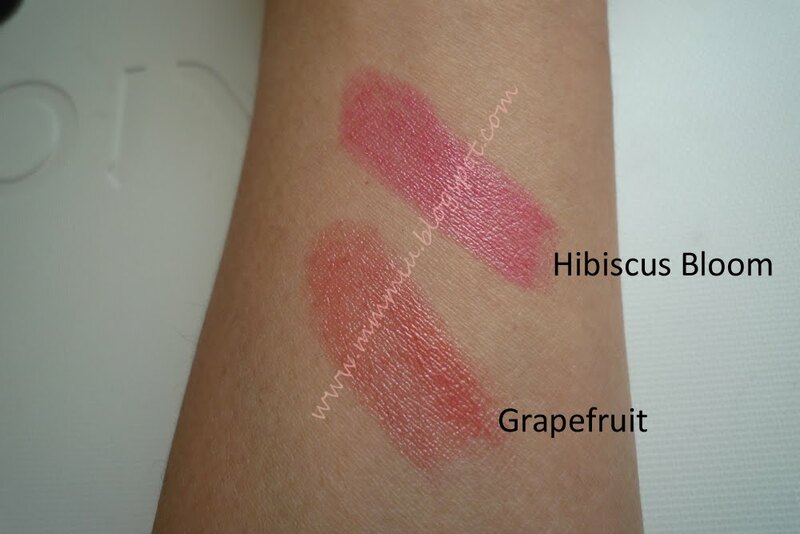 My lips are pigmented so the color appears more of a fushia red shade but still very wearable. It's hard to capture the colors on my camera, but Hibiscus Bloom is definitely different from Grapefruit (which is more of a coral pink). Here you can really see the difference. The lipsticks are so smooth and lasts very long, but does not last through meal time. Hibiscus Bloom has a slightly sweet smell and taste much like Grapefruit. They're supposed to be LE at Holt Renfrew so check it out if you haven't already! Have you ever seen this YT video? 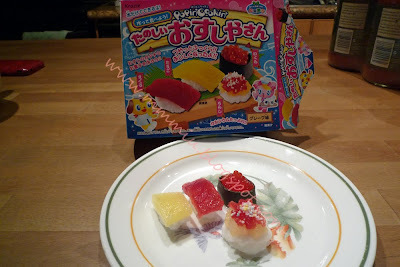 It's DIY sushi candies! So worth the $5 for the fun but tastes TERRIBLE!!!!!! I've also tried the bento box set, but didn't turn out as pretty as this one. I got mine at the Pacific Mall candy stores.